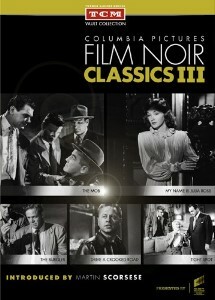 "Sony Pictures Home Entertainment, The Film Foundation and Turner Classic Movies partner on the third collection in the series, Columbia Pictures Film Noir Classics III. 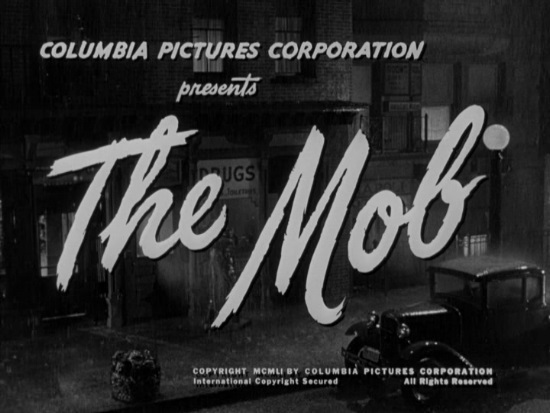 In this volume, five films, fully restored and remastered, are showcased featuring My Name is Julia Ross, The Mob, Tight Spot, Drive a Crooked Road and The Burglar. 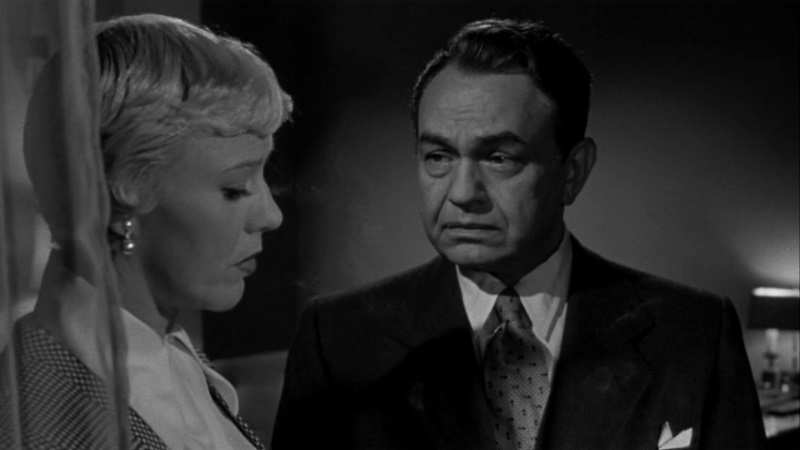 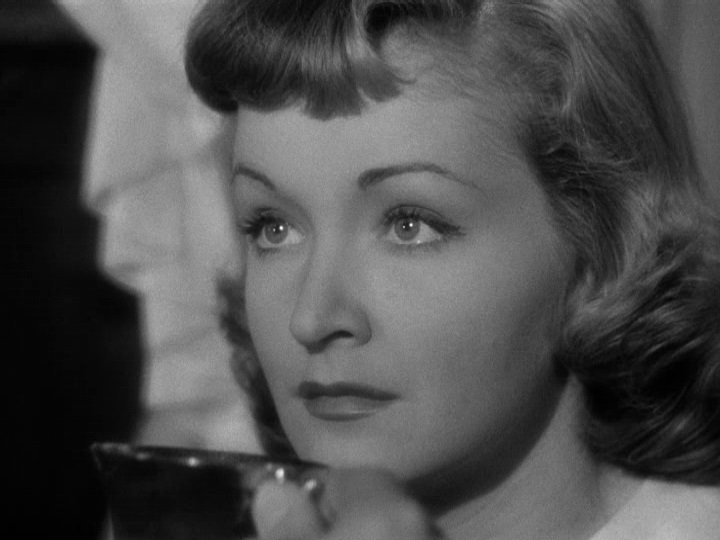 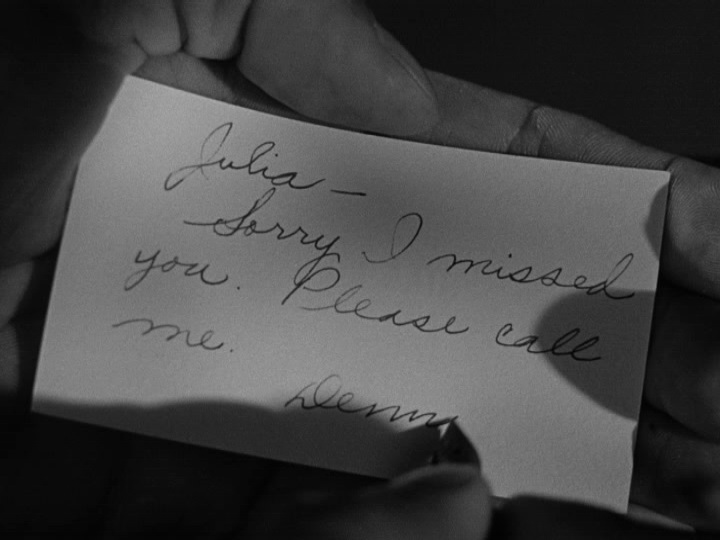 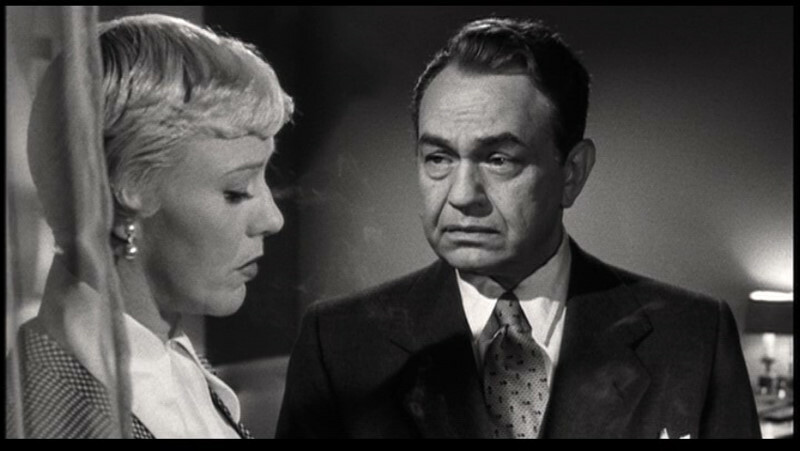 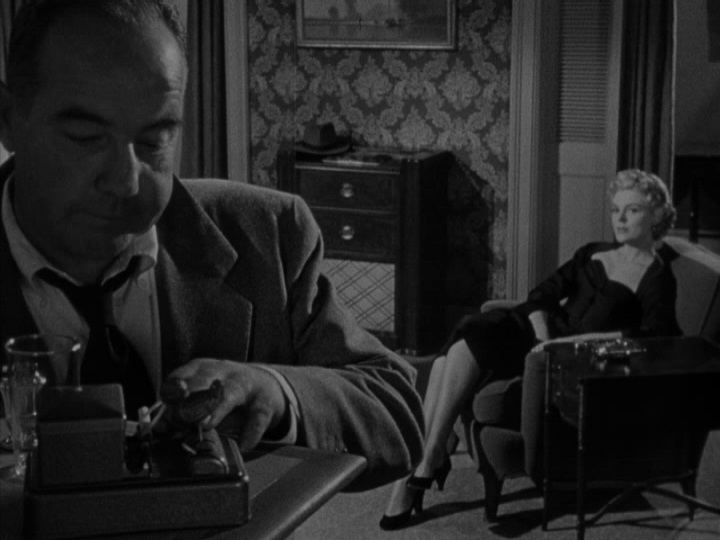 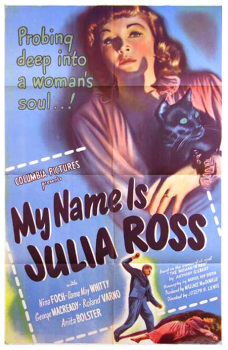 Film Noir Classics III hurls you into a shadowy world of hit men, kidnappers, corrupt cops, bank robbers, mob informers, femme fatales and hard-luck losers starting with Nina Foch as an unemployed secretary lured to an isolated mansion by insidious characters in MY NAME IS JULIA ROSS (1945). 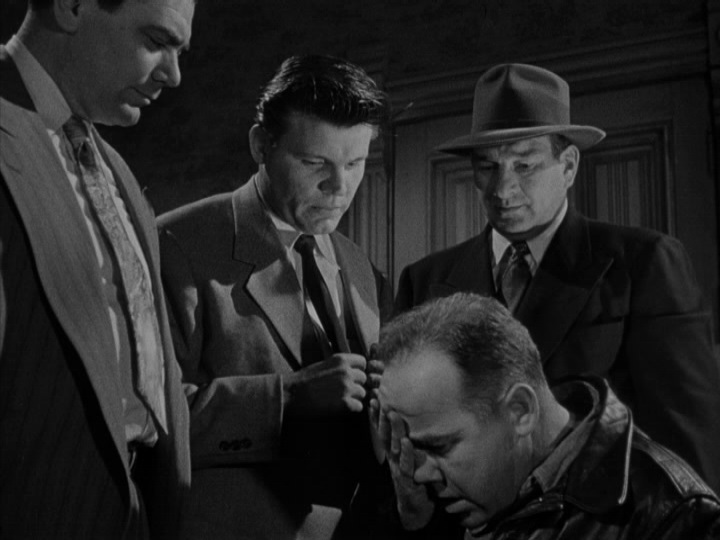 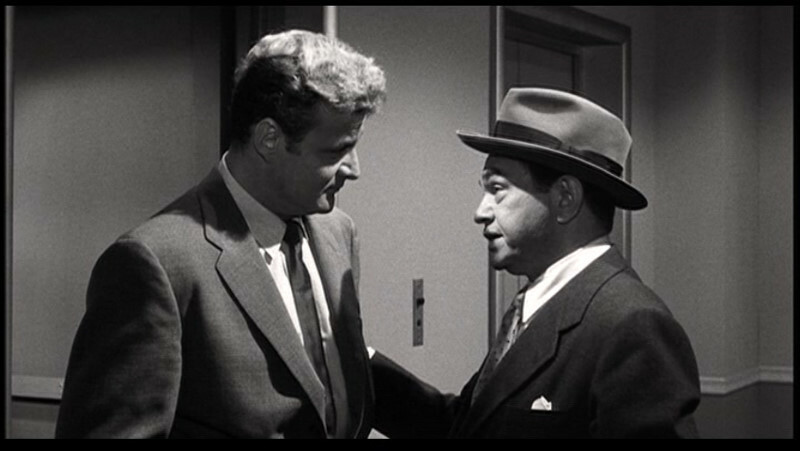 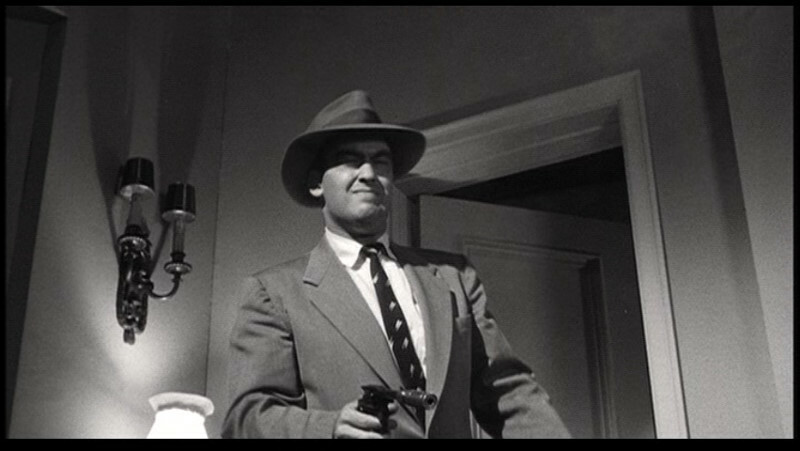 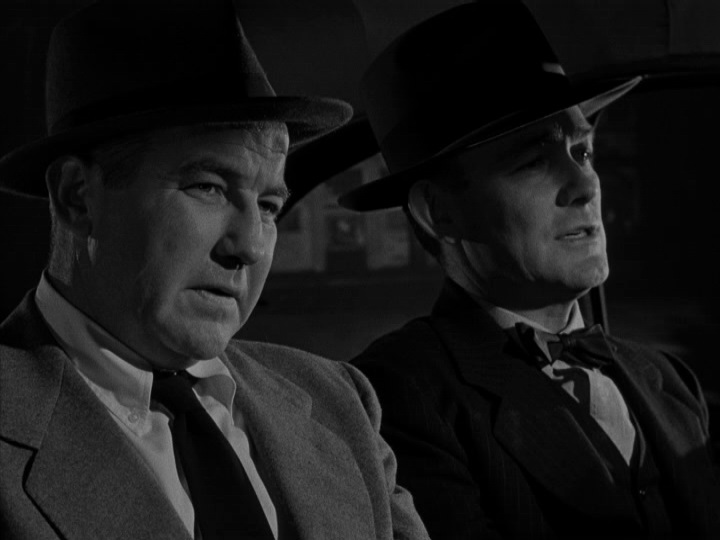 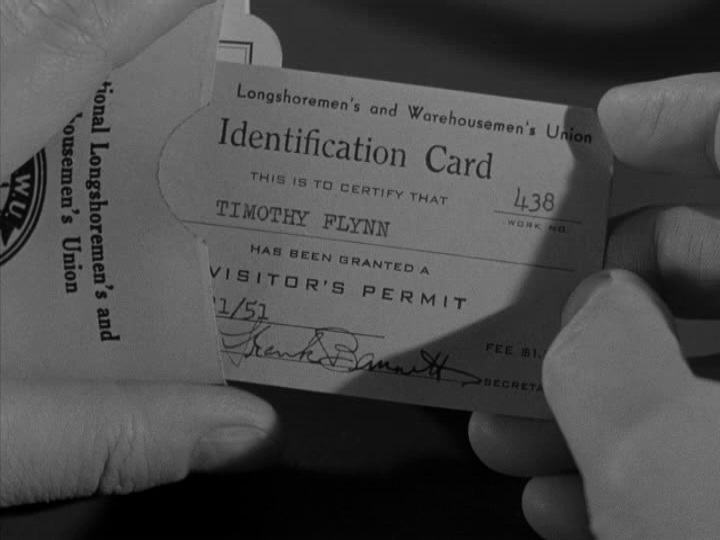 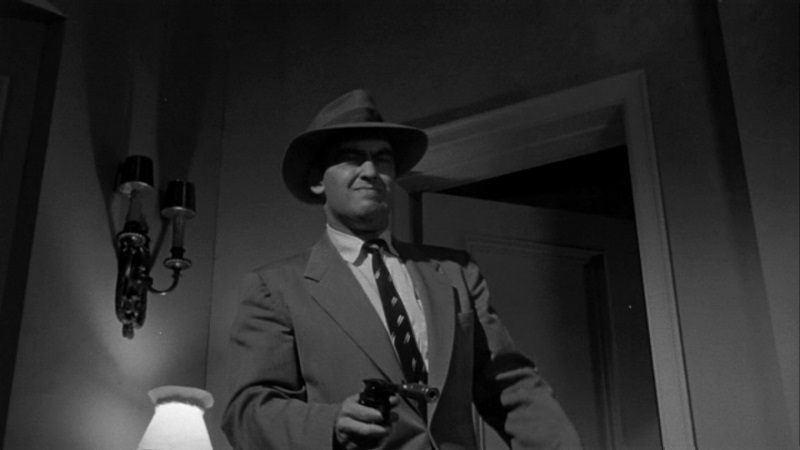 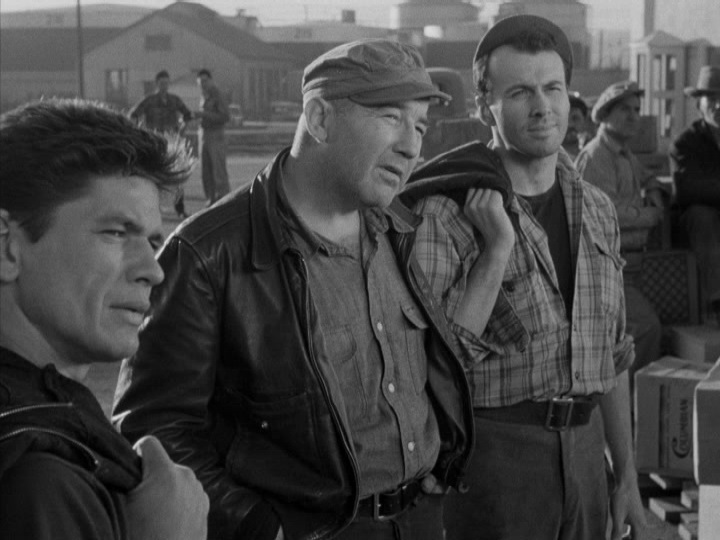 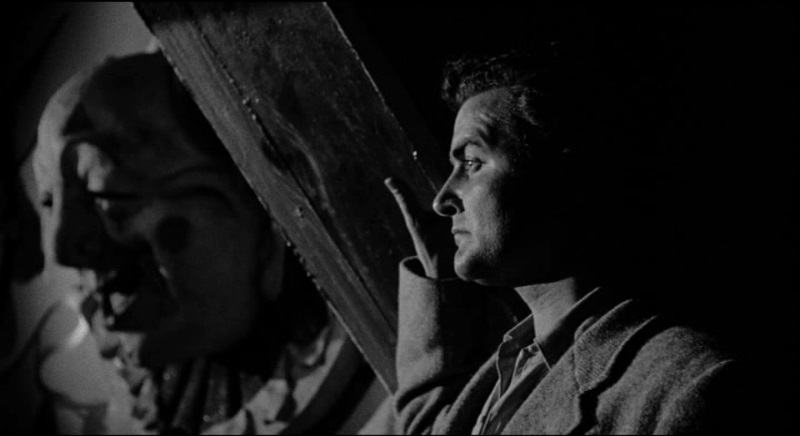 In one of his most dynamic roles, Broderick Crawford plays a police detective who goes undercover as a dock worker in New Orleans to expose THE MOB (1951). 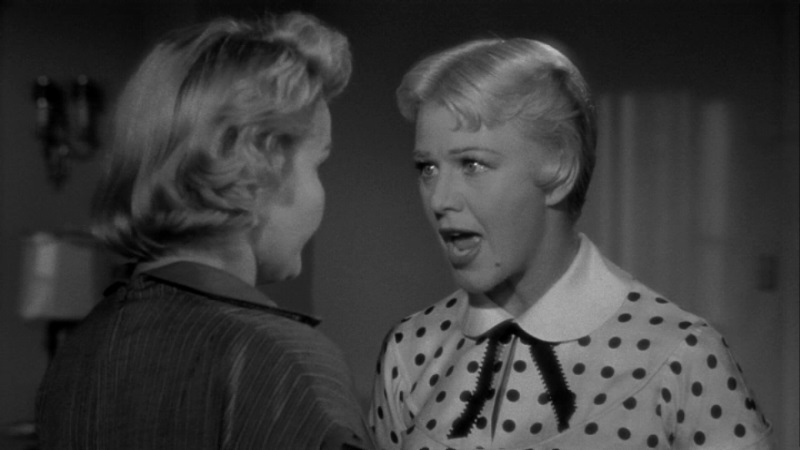 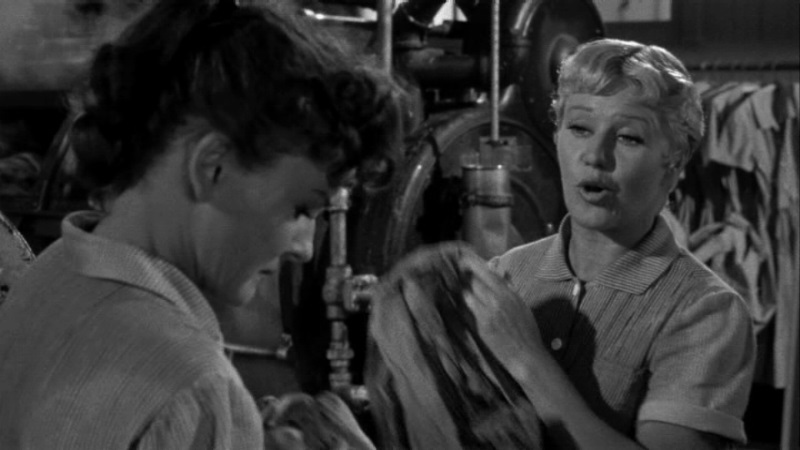 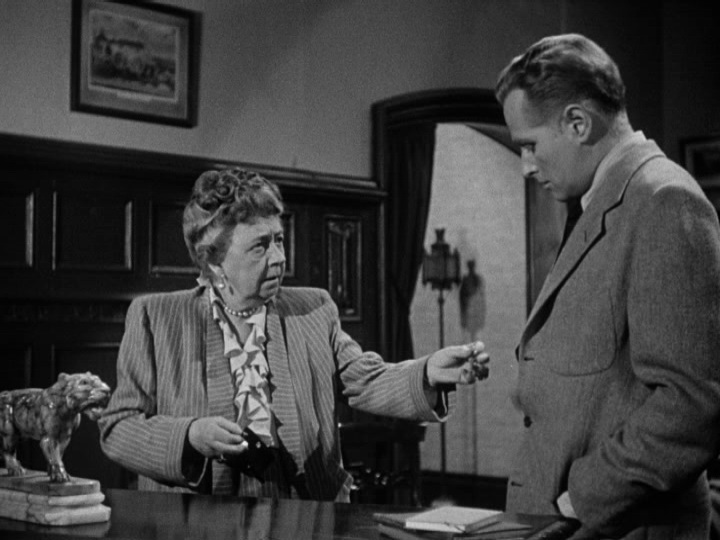 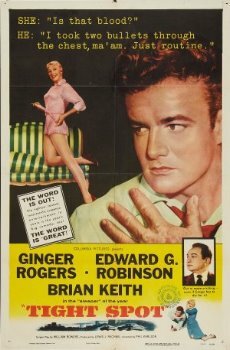 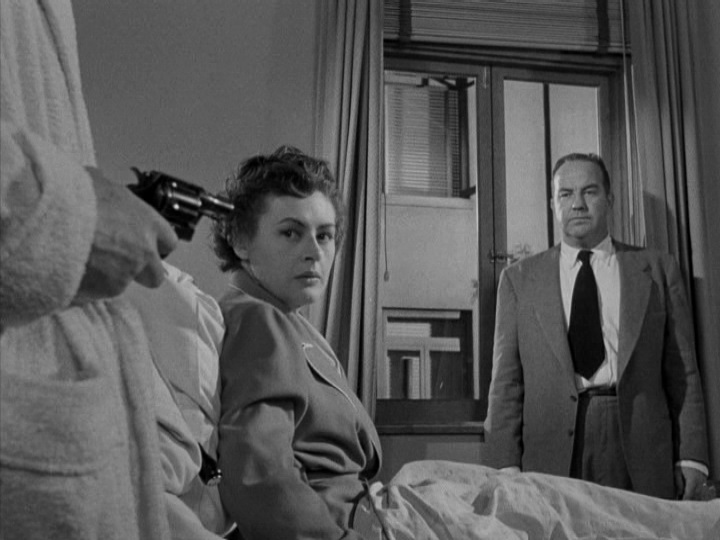 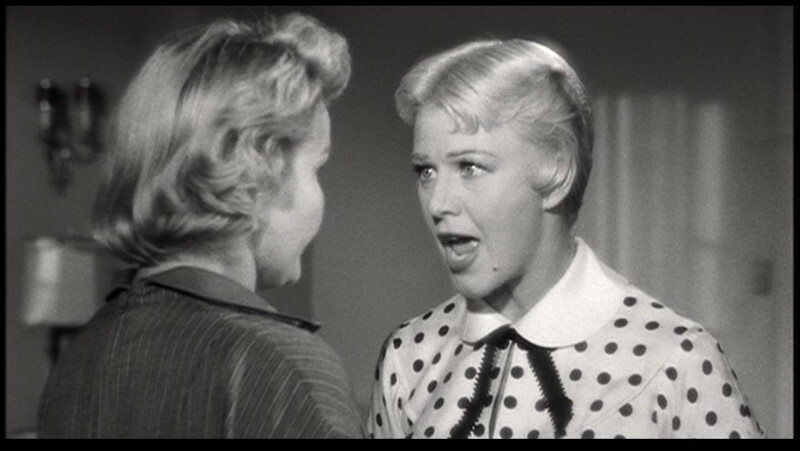 Ginger Rogers, cast against type, is a tough, uncooperative witness in a criminal case threatened by her association with gangsters in TIGHT SPOT (1955). 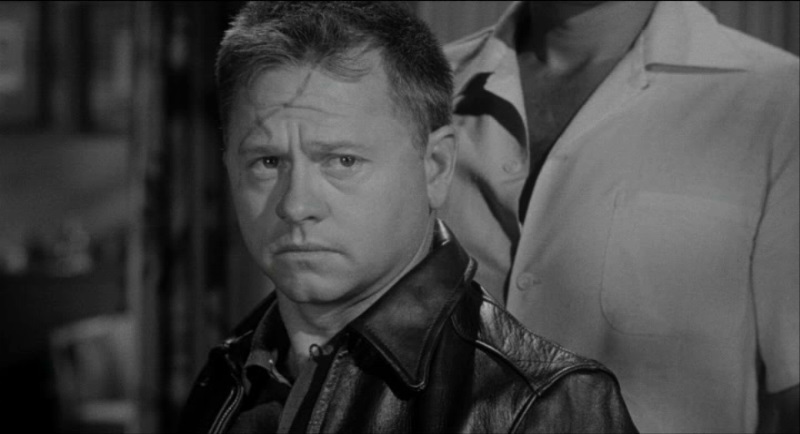 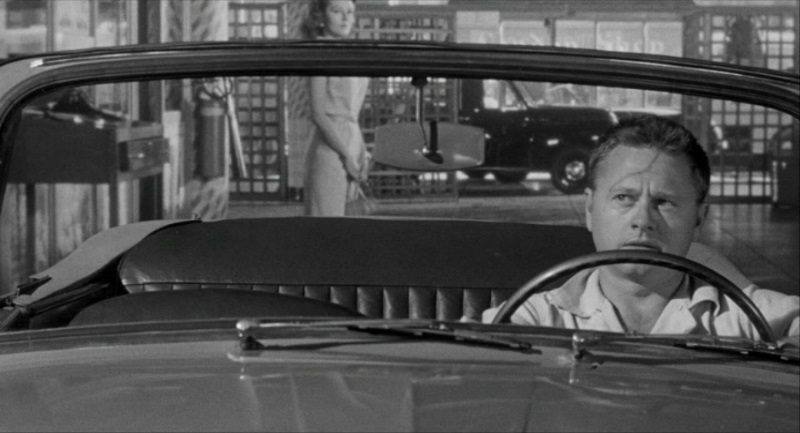 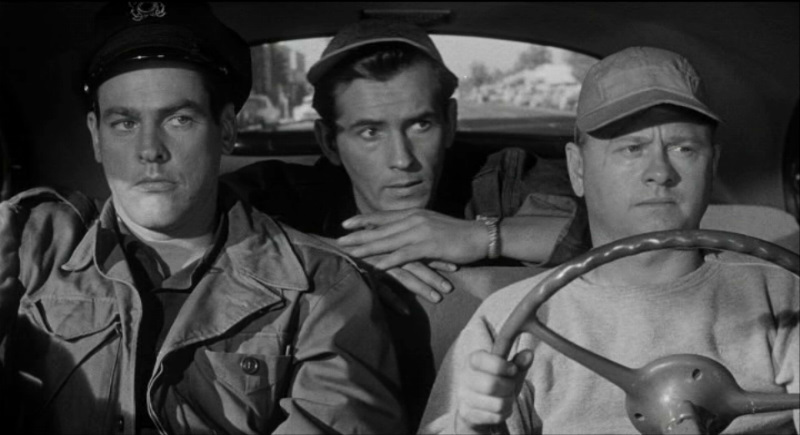 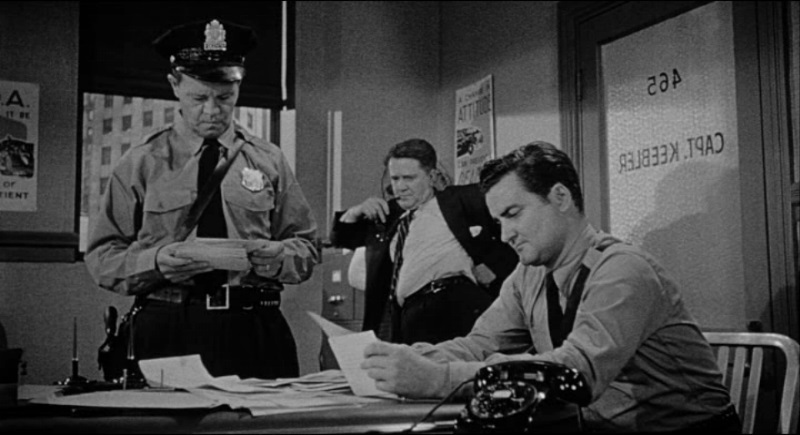 In DRIVE A CROOKED ROAD (1964), Mickey Rooney gives a fine, underrated performance as a race car enthusiast blackmailed into driving the getaway car at a bank robbery. 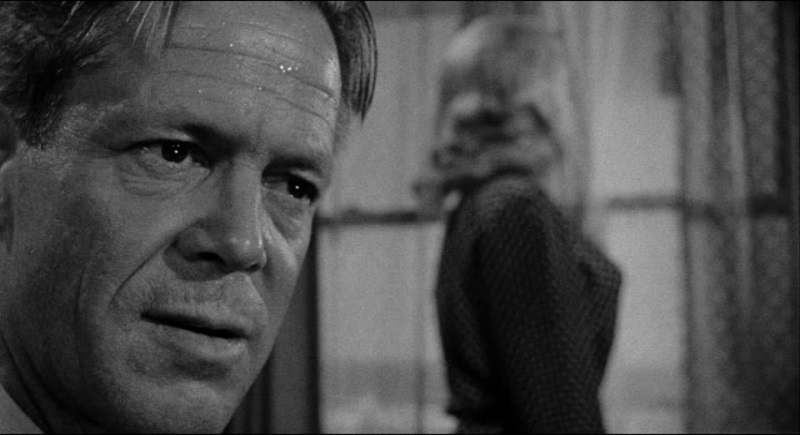 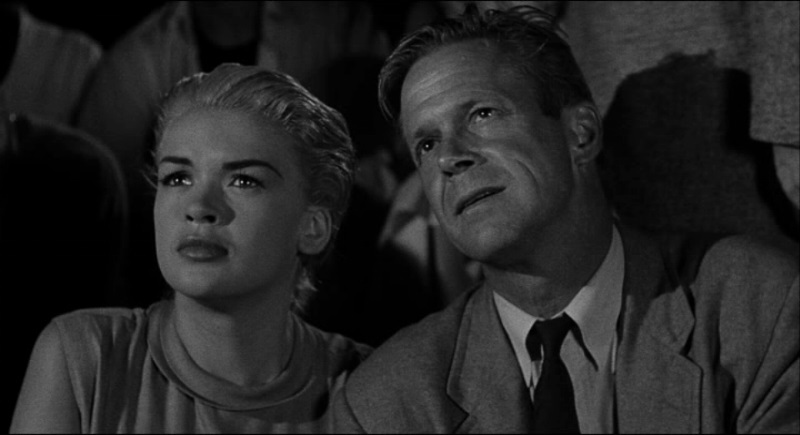 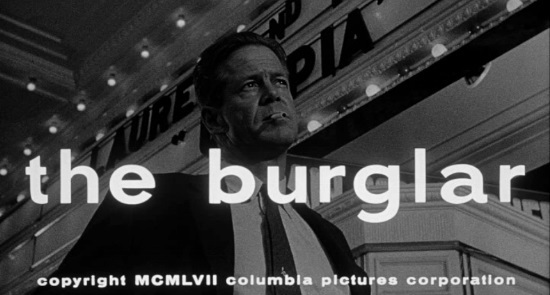 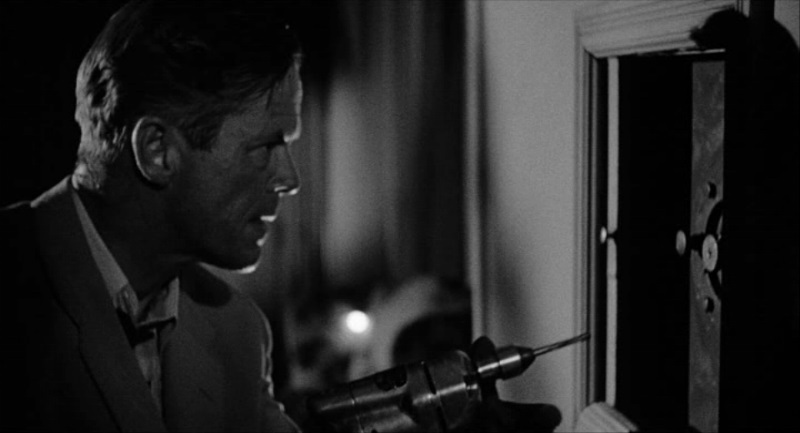 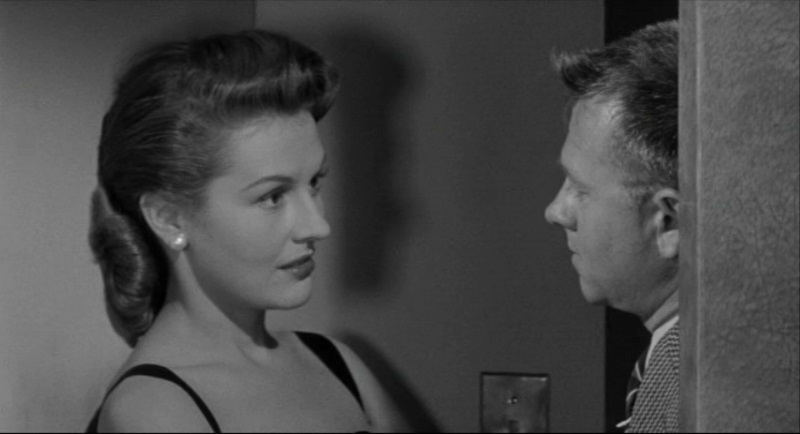 Based on a pulp fiction novel by David Goodis, THE BURGLAR (1957) stars Dan Duryea as a cunning jewel thief who recruits Jayne Mansfield, Mickey Shaughnessy and Peter Capell for one final heist before retiring. 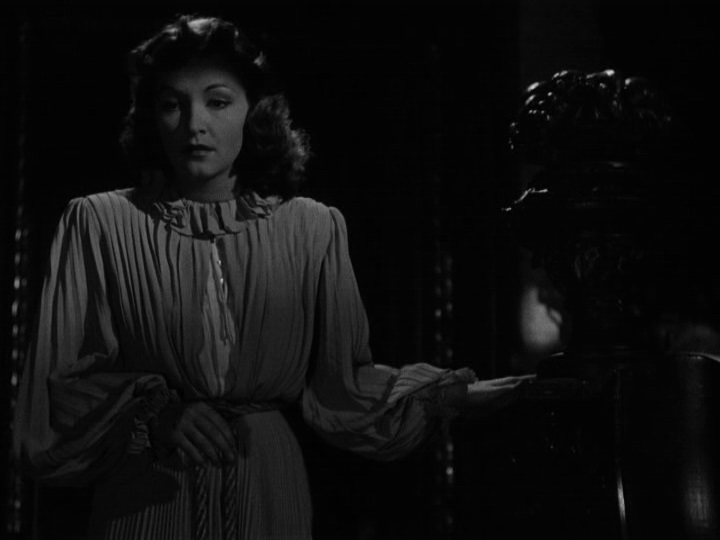 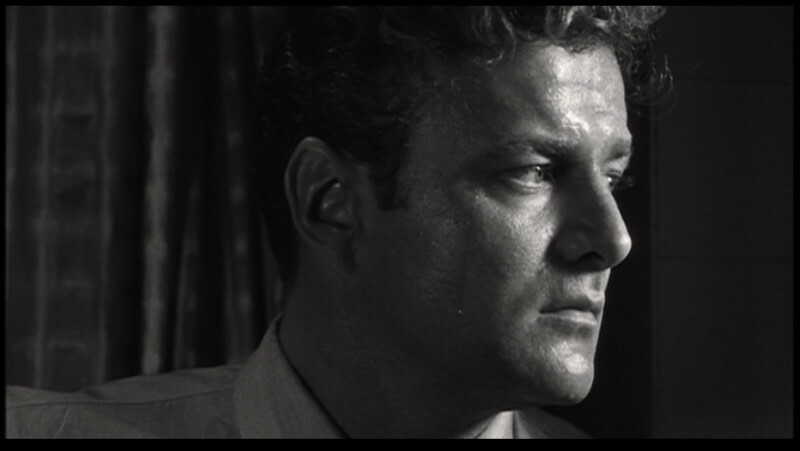 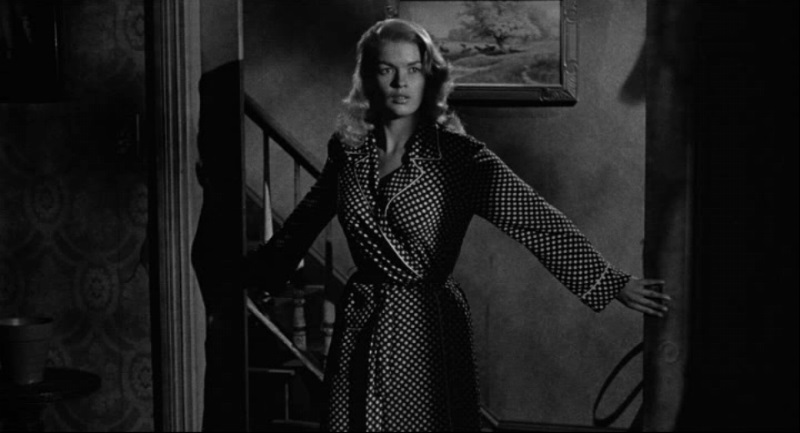 Presented for the first time on DVD, the five restored and remastered films included in Film Noir Classics III represent key films in the genre by such masters of the form as Joseph H. Lewis, Phil Karlson and Robert Parrish." A real gift in 2012 to any film noir fan is this 5-film set from Sony Pictures and Turner Classic Movies, sold exclusively at Turner Classic Movies store and Movies Unlimited. 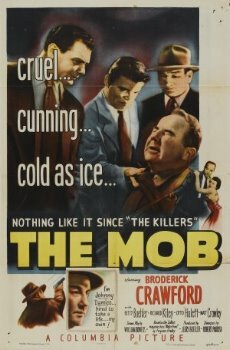 Three of the films make their DVD debut - The Mob has been released in Spain and Tight Spot is available in Japan and UK. 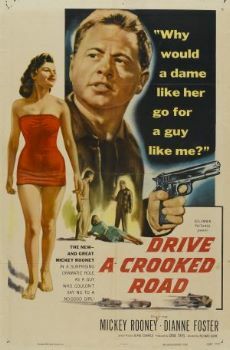 Three new to DVD films are real gems with Joseph H. Lewis' My Name Is Julia Ross with Nina Foch, Richard Quine's Drive a Crooked Road with Mickey Rooney and Paul Wendkos' The Burglar with Dan Duryea and Jayne Mansfield (the film was filmed in 1955, but wasn't released until 1957, after she became a star at Fox, see The Jayne Mansfield Collection HERE). 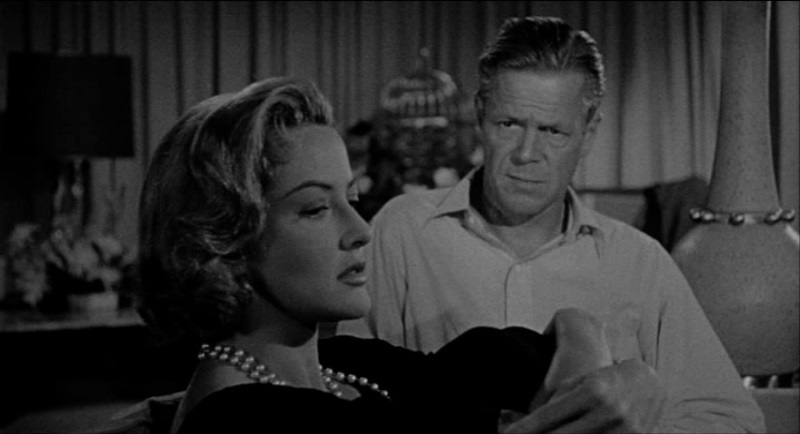 Each film features an excellent progressive transfer with nearly no scratches and very good contrast. 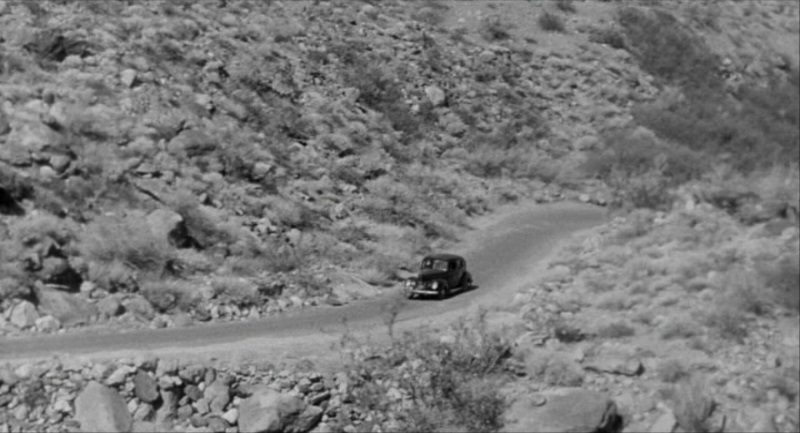 Compare the captures below for Tight Spot to the Japanese release from 2004 and you can see the issues in aspect ratio (the Japanese transfer is a little squeezed from the top) and the image is brightened. 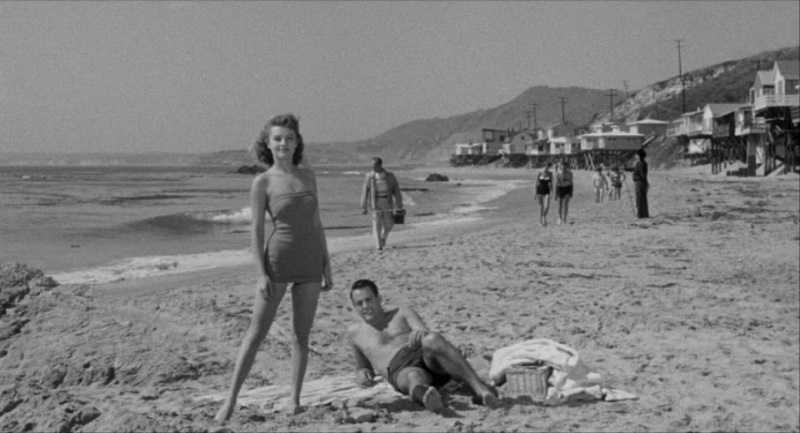 The new transfer feels more film-like. 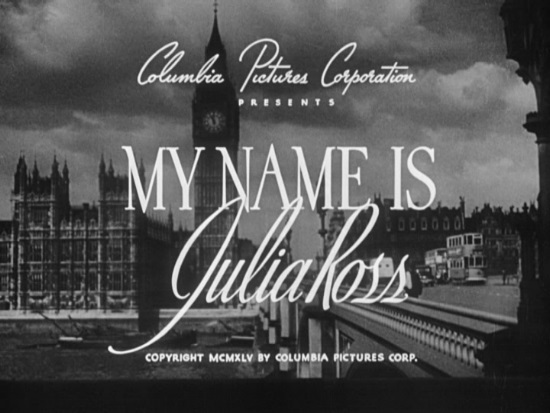 The mono sound on each disc is adequate. 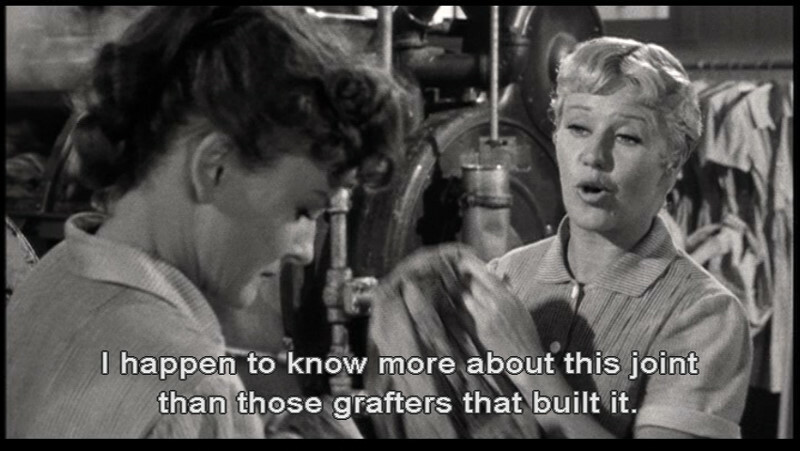 Unfortunately, no subtitles or closed captioning is provided. 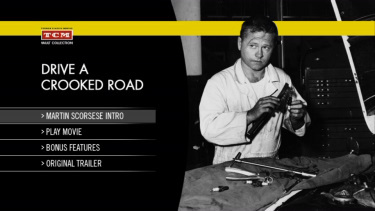 Each disc includes a trailer for the feature film and a set of various galleries - stills, posters, lobby cards. 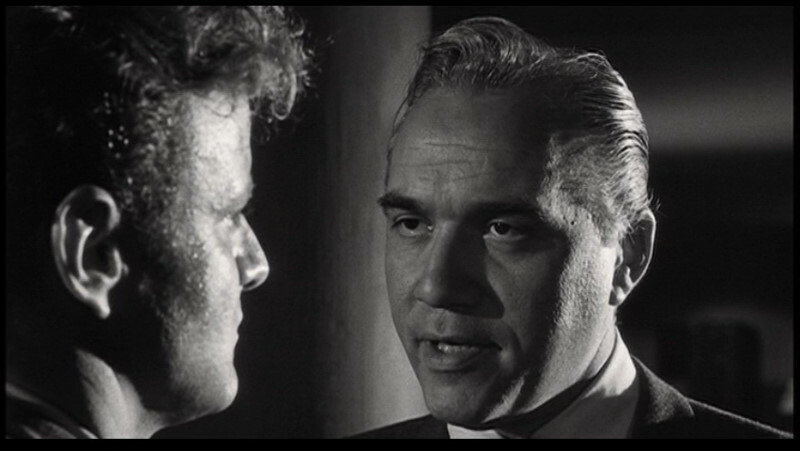 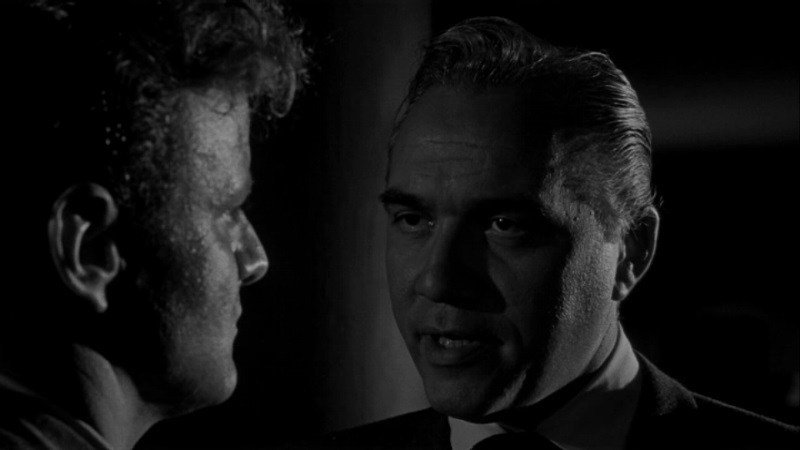 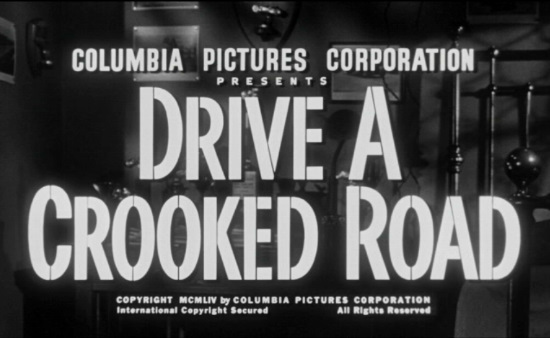 Drive a Crooked Road and The Burglar also include a brief introduction by Martin Scorsese. 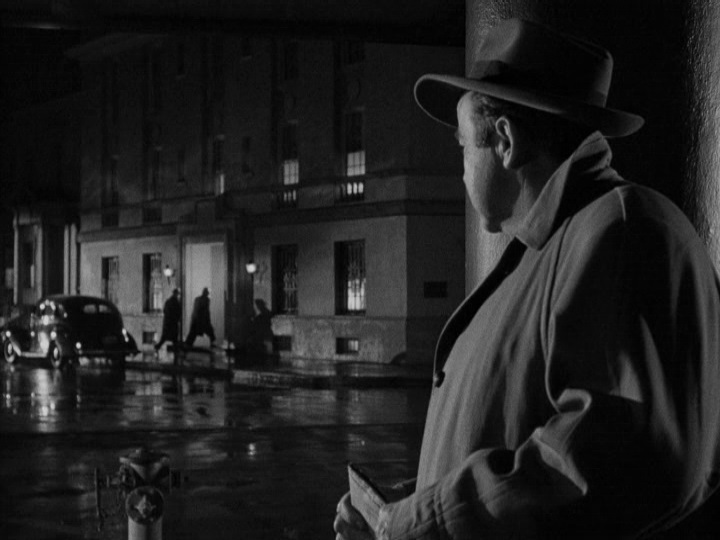 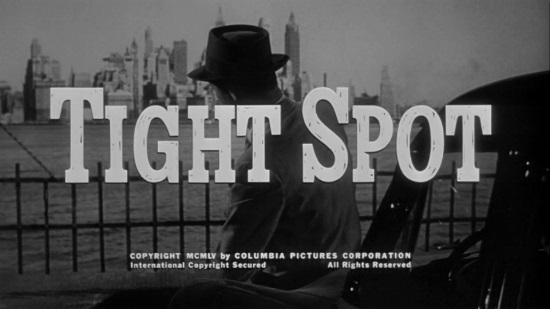 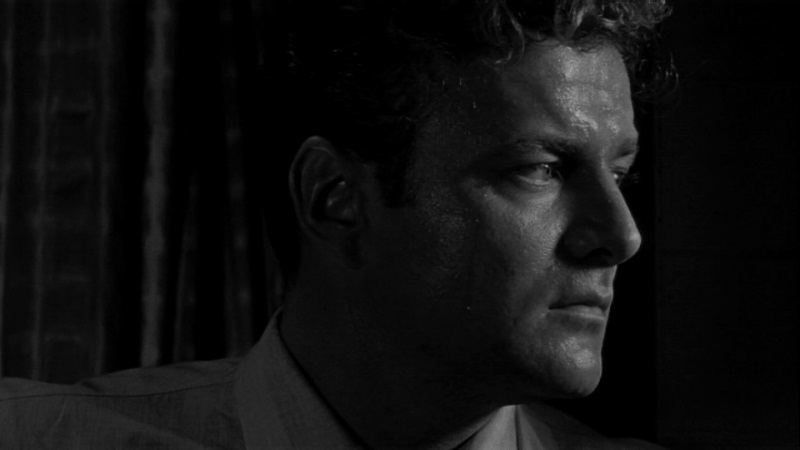 A highly recommended release for any film noir aficionado. 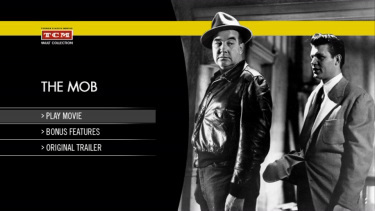 NOTE: Due to a production error on the outer packaging of the Film Noir III set, the description for THE MOB on the back cover of the slipcase is incorrect. 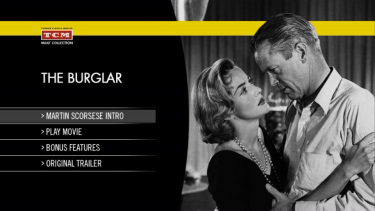 This is only on the slipcase and the discs inside are fine and unaffected. 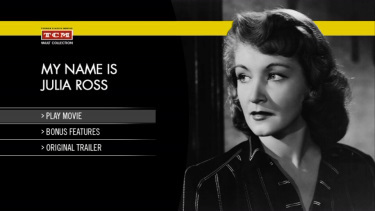 Turner Classic Movies store and Movies Unlimited delayed the release until February 14 to correct this mistake. 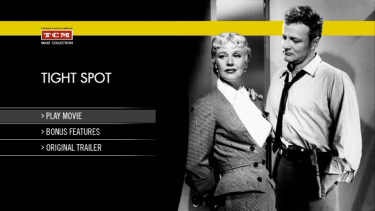 For those who already got the order, Movies Unlimited offers a new slipcase shipped free of charge.